Originally settled by Mormon pioneers, who intended to perform missionary work in Zuni and Navajo communities, Ramah sits between the Zuni and Ramah Navajo Reservations. The town was initially intended to be both a spiritual and agricultural center. It currently provides direct access to the Cibola National Forest, El Morro and El Malpais National Monuments, a wolf sanctuary, and a seasonal farmer's market with close ties to the town's original pastoral inhabitants. 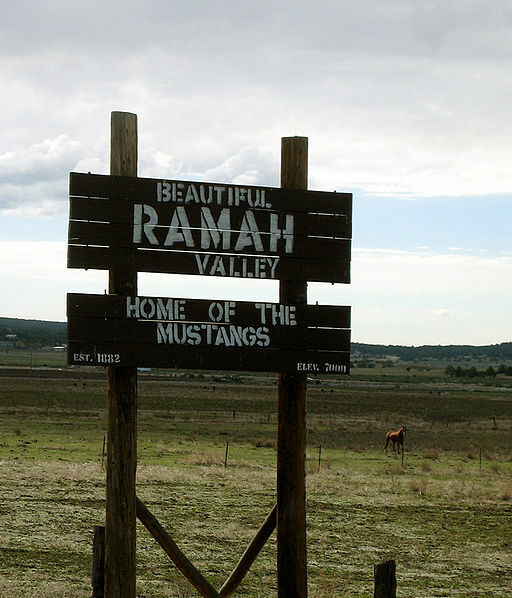 "Welcome sign entering Ramah, New Mexico" by Notbob 1647 is in the Public Domain.